Born in Wickford, Essex, Kevin has had a long career, mainly with non-league sides, although he started out as a young 18 years keeper with Leyton Orient. During the 1983/1984 season, he made four appearances for the O’s, before having spells with Harlow Town, Chelmsford City and Welling United. 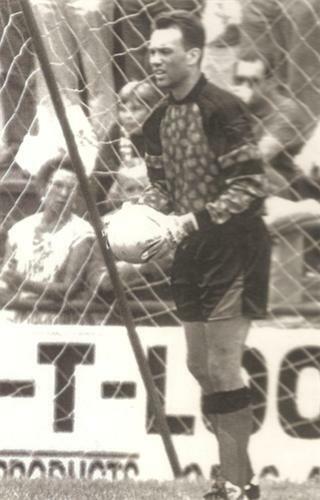 In September 1986, Peterborough United offered him a return to League football and after an early chance to impress, he become the Posh’s first choice keeper. A change of manager during the following season saw him leave Peterborough after 47 appearances, and he joined Kettering Town in 1988. He spent some three seasons with the Poppies before returning to Essex with Redbridge Forest in the summer of 1991. 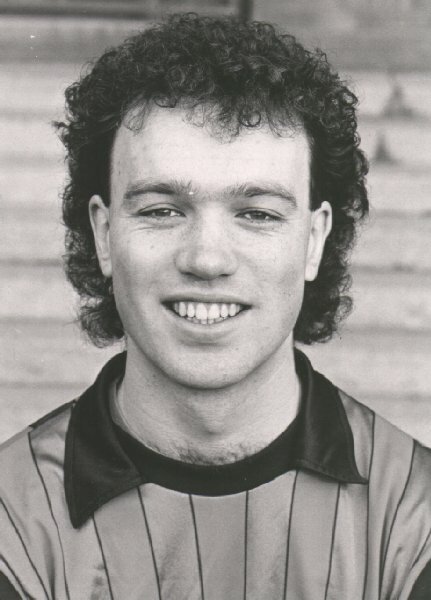 Kevin arrived at Nene Park in late-July 1992 after a long term injury to Roger Ashby’s No.1 Kevin Fox left only youngster Darren Watts available for selection. Watts’ experience was somewhat limited and Kevin went straight into the side for the inaugural game against Bilston on 22 August 1992. He played in Diamonds opening 25 games of the season before a sending off against Barri on 14 November after handling outside the penalty area led to a one match suspension. Kevin Fox’s return to fitness in February 1993 saw him lose his place in the side. The following season, Fox’s injury at Grantham Town in September 1993 saw Kevin return to first team action, and he played a further 12 games that season before Fox’s return. He left at the end of that season, and after a short period at Chelmsford City, returned to Kettering Town where he spent a further three seasons. He even had a role as assistant caretaker manager following Gary Johnson dismissal from Kettering in the 1996/97 season. In 1998, he joined Nuneaton Borough as player/coach, a role he kept for three years. He played a couple of games for Borough during his stay there due to suspensions and injuries, but it was mainly as a coach to the first team keepers. He also signed briefly for Boston United in March 2000 after injury to Paul Bastock. 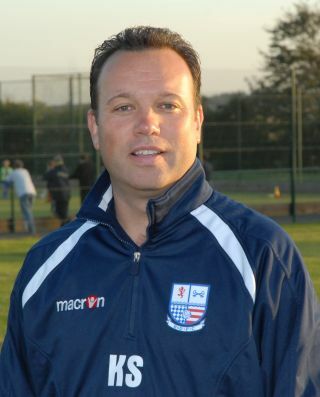 Kevin remained a very popular figure around Nene Park during the latter days of Rushden & Diamonds FC, helping with goalkeeper coaching, combining this with his full time career as a Head of Business Development at the Chartered Institute of Logistics and Transport in Corby, as well as providing the BBC live-text on match days. On 1 February 2011, it was announced that he was to become the Chief Executive Officer of the Northamptonshire FA with effect from 21 February. After several successful years there he move to become the CEO of Birmingham FA in 2016.